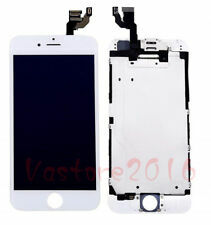 OEM For iPhone 6 Plus LCD Display Touch Screen Digitizer Replacement -Black. Trending at $22.72eBay determines this price through a machine learned model of the product's sale prices within the last 90 days. 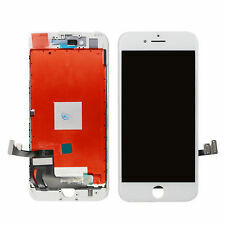 For iPhone 6 Plus 5.5'' White LCD Touch Screen Digitizer Assembly Replacement. For All iPhone 6 Plus 6 Models (. -Each one of these LCD's also has a unique stamp that let's us identify the product as ours. Not for iPhone 6 ). 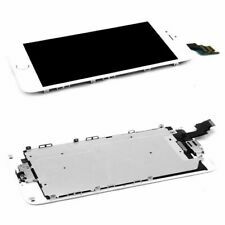 LCD Touch Screen Digitizer Full Assembly Replacement For iPhone 6Plus A1522 5.5"
LCD White Digitizer Screen Touch Replacement Home Button For iPhone 6 plus 5.5"
Touchscreen digitizers are essential to ensuring that the functions of an Apple iPhone 6 Plus work properly. If your iPhone's touchscreen is broken, you likely need a replacement to get it to work properly again. The touchscreens on devices like iPhones are made up of three parts: the outer layer of glass, digitizer, and LED-backlit screen. 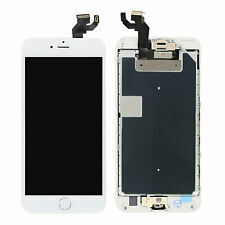 The digitizer is a panel that is attached to the outer layer of glass. All devices with touchscreens, including smartphones, tablets, and e-readers, have these three components. Whenever you press or swipe your iPhone 6's touchscreen, these actions are recognized, converted into a digital signal, and sent to the LCD layer below. 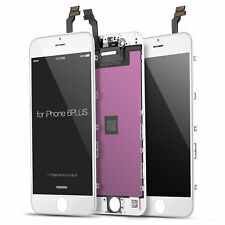 Your phone has a flex cable or ribbon that sends the signals from one layer to the other. How can you tell if you need a new touchscreen for your Apple phone? No response: The touchscreen doesn't respond at all. Slow response: The screen response time is slower than normal. Dead spots: Certain areas respond more slowly than others. Overactive response: Applications open without you touching them. The touchscreen layer adheres to the outer layer of glass. If the outer layer cracks, they will both need to be replaced regardless of whether or not the touchscreen functions still work. Replacing or repairing only one isn't an option. How do you tell if the LED screen of the iPhone 6 Plus is broken? 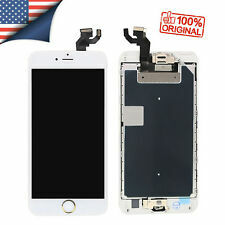 If your iPhone's touchscreen responds normally but the picture underneath is distorted in some way, this probably means you need a new LED screen. Your touchscreen doesn't need to be replaced. 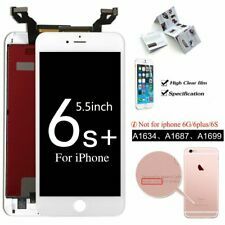 The signs you need a new LED screen for your iPhone 6 Plus, iPhone 6s, iPhone 6, or other iPhone include if everything is black with no images, blurry black or gray spots begin to appear, or lines appear across the image. 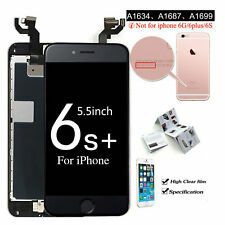 What are the features of this component for iPhone 6 Plus? 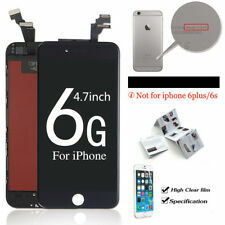 A replacement touchscreen for this make and model of cellphone will match the 5.5-inch dimensions of your smartphone. 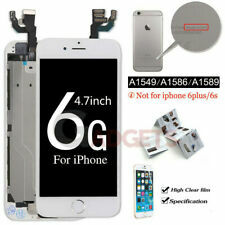 The ones for similar phones often have slightly different dimensions and won't fit properly. 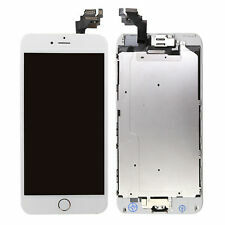 These replacement parts include a connective ribbon so the touchscreen can be attached to the screen underneath and may have an area cut out to accommodate the home button and front-facing camera. 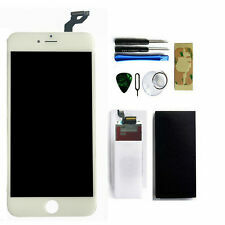 They are available to match different phone colors, including white, black, gold, and silver.